Want to speak like all the pro DJs? This book tells you all you need to know! *I’ve found that this kinda language can also be applied to many everyday situations, such as domestic duties. 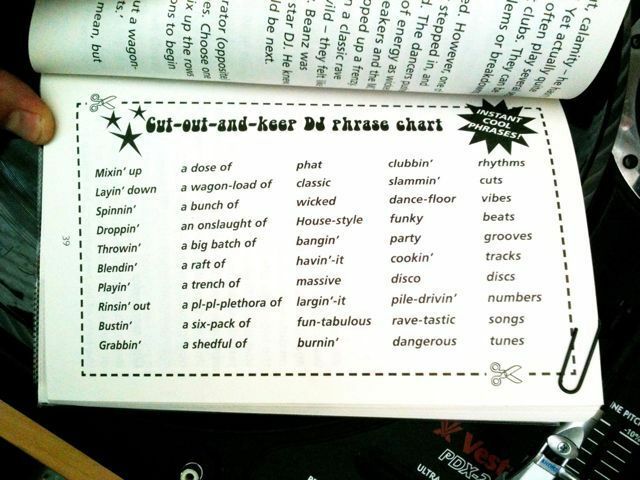 For example: Today I’ll be “rinsin’ off a hooj pile of dish-tastic gravy-soiled dinner plates”. Bo!